In stock -This product will ship today if ordered within the next 6 hours and 15 minutes. 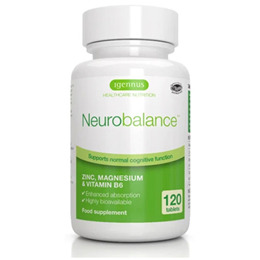 Neurobalance blends the most highly bio-available nutrients to provide maximum level of zinc, magnesium and vitamin B6, delivered in a sustained release system for optimal absorption. This scientifically formulated supplement offers synergistic benefits to optimise the functioning of the nervous system. Zinc contributes to normal cognitive function, supporting the immune system and protecting against oxidative stress. Magnesium contributes to normal neurotransmission and Vitamin B6 contributes to normal cysteine synthesis; an amino acid involved in neurotransmitter production. Magnesium and Vitamin B6 contribute to a reduction in tiredness and fatigue, supporting the function of the nervous system and contribute to normal cognitive and psychological function. Magnesium citrate; bulking agent: calcium carbonate; emulsifier: microcrystalline cellulose; zinc methionine; vitamin B6 (pyridoxal-5-phosphate); thickener: hydroxypropyl methylcellulose; anti-caking agents: stearic acid, silicon dioxide, magnesium stearate. Free from: dairy, gluten, lactose, soya, artificial colourings & flavourings, not tested on animals; non-GMO. 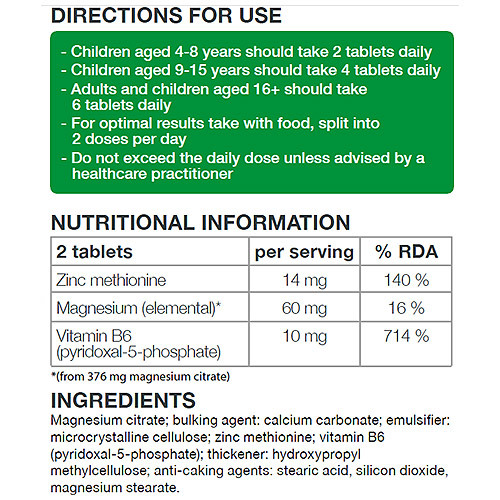 Children 4 - 8 years: Take 2 tablets daily. Children 9 - 15 years: Take 4 tablets daily. Adults & Children 16+: Take 6 tablets daily. For optimal results take with foods, split into 2 doses per day. Do not exceed the recommended daily dose unless advised by a healthcare practitioner. This product should not be used as a substitute for a balanced diet. Pregnant or lactating women should consult their doctor before use. If you are taking any blood-thinning or hypertensive medications, do not take this product without prior medical advice. Keep out of reach or children and away from sunlight. Below are reviews of Igennus Neurobalance - Sustained Release - 120 Tablets by bodykind customers. If you have tried this product we'd love to hear what you think so please leave a review. I couldn't live without this. 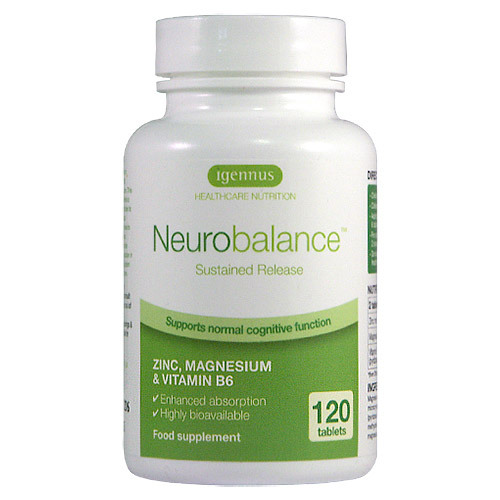 Igennus Neurobalance blends highly bio-available nutrients to provide maximum level of zinc, magnesium and vitamin B6, delivered in a sustained release system. This offers synergistic benefits to optimise the functioning of the nervous system.